Here at Yoast, we try to combat the notion that SEO is just a trick. SEO is so much more. Over the years, social media has become more important as a method for discovering new content and products. Google changes its algorithm literally hundreds of times a year. It adapts to the changing influence of social media, and with it, SEO becomes more complicated. Permanently ranking well in Google demands an extensive SEO-strategy focused on every aspect of your website. The technical stuff, the user experience, the content on your website and even the security of your website all need to be in order. To keep ranking well in Google, you should develop — what we call — a holistic SEO approach. Just make an awesome website! Yoast celebrates its fifth anniversary in just a few weeks. While Google has changed its algorithm numerous times over these years, most of our advice has remained the same. This advice is simple: you have to make sure your site is really, really awesome! Don’t use any ‘tricks’. While they might get you ranked quickly, they usually don’t work in the long run, and they might even backfire. Google’s mission is to build the perfect search engine that helps people find what they are looking for. Making your website and your marketing strategy fit this goal is always the way to go. Why a holistic SEO approach? Having an awesome website with high-quality content, a great user experience and up to date security will not instantly improve your ranking. In the long run though, it will definitely have a positive effect on your SEO! Attractive websites have a lower bounce rate and a much higher chance to receive social media attention. These are exactly the two things you need to make sure your website will keep ranking well in the long run. If nobody ever talks about your website on social media, how can Google keep thinking it’s a good site? Awesome websites will also result in higher conversions. If your audience likes and understands your website, the chance of them buying your products or returning to your website is of course much higher. Cooperation with the best of the best! So we try to focus on all these aspects of websites in developing our products and in advising our clients. This means we have to be experts in all these fields. This is why we have been cooperating with many colleagues from all over the world: to keep up with all the new developments and to learn from the best in the fields of web technology, software development, blogging, content SEO, user experience, conversion research, and security. De totale mens, overvleugelend slechts de voetballer. Which in VanGaal-English would come out something like “the total person is bigger as just the football player person is”. As cute as it is, it’s true. A website is just a part of. Of a marketing strategy, of an organization’s image, appearance, style. Just a part of communication and communication channels. So, in my humble opinion, it’s not only a good thing, but also a very natural and necessary development, that website SEO is becoming just as interrelated and interdependent in a whole scheme of things, as websites as such have been for much longer already. I can’t imagine people considering their website being a standalone goal, on its own. Not nowadays. Considering it to be a pretty important tool, way, part, or a means to an end? -Yes. That’s exactly it. And I think the same goes for website SEO. Where many might feel it to be a goal on its own though. Happy 5th anniversary Yoast! It really is as simple as creating an awesome website. One your audience will love, talk about and link to. Every business should strive to be the best/leader/authority in their industry. It’s easy being mediocre but hard to be exceptional and stand out. I agree, site awesomeness helps with SEO. Having a great product/service also helps. In fact, I found the Yoast website not through google or other search engine but through a recommendation of the Yoast plugin from another SEO site (not google). 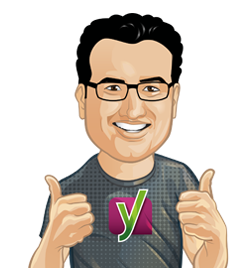 Only because the plugin was so good did I think seek out Yoast’s website, which turns out is awesome and regularly update useful content! Thanks for posting this article. Love reading your posts. Great article. Thank you and waiting for YoastCon! Thanks for the holistic post. Everything in balance. 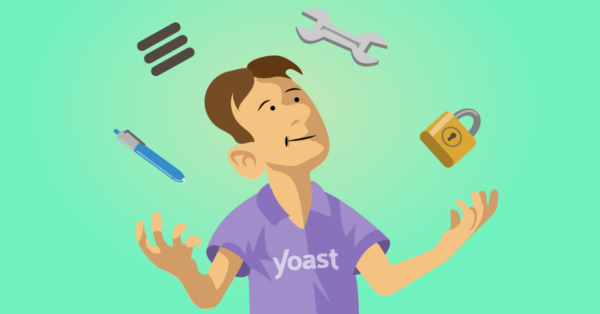 Great post Yoast, exactly what I try to achieve for my clients. The long run is so much more important (some clients tend to forget that). See you (again) at Yoastcon!